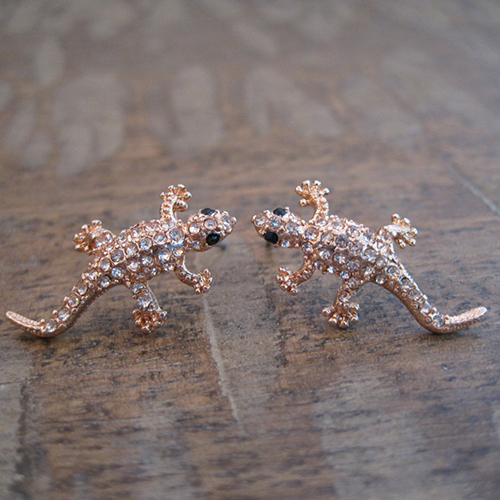 These pretty lizard stud earrings are rose gold colored with clear crystals. They measure an inch long. 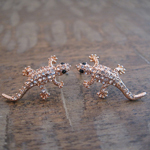 They are great for lizard lovers or anyone that loves a unique earring! Great for the summer or anytime! They are sure to be a great conversation starter!